- Faux fur lining, soft, warm and comfortable. 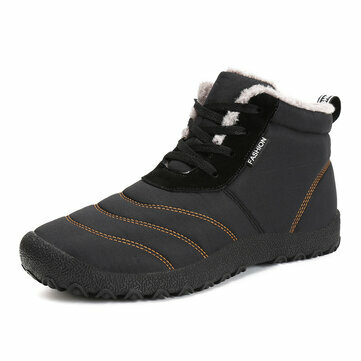 - Slip Resistant,durable and water-resistant . - Non-slip polyurethane is used as the soles, realizing the high elasticity, suppleness and long-lasting comfort. Note:The shoes size is smaller than the standard one,Please choose the shoes size according to shoes length.